The vital objective of this report is to analyze and find out the overall paints product in Bangladesh. General objectives of this reports are to identify the existing brands, different categories, sources and distribution networks, to identify the existing promotional strategies of the existing brands, to identify the substitution availability for customers product, to identify the consumers perception about the existing brand, to anticipate market development for the previous years and to find out the problems of the paints market. Berger’s mission in 2008 was to increase its turnover by 100% with the next five year. To accomplish this Berger promotes its sales department to increase the gross sales through direct selling and developing substantial number of new dealers and projects. The company can increase its sales by 35% in 2010. The company recently introduced a manual production system called ‘ ‘ for the production of 27 slow moving shades of Robbialac Acrylic Plastic Emulsion, 10 shades if Robbialac Synthetic Polyvinyl Distemper and 15 shades of Weather Coat. As the averages monthly sales of these 52 shades are less than their batch sizes, these are consider as slow moving items. So production of these shades from factory increase the stock level which finally fixes the working capital and increase the product cost per unit. The objectives of this system was to reduce the pressure on factories production capacity by ensuring the production of these slow moving shades from depot and by guarantees the spot delivery against customer demand. Without having proper knowledge regarding the consumer preference towards paints, Berger paints is in great challenge in paints market. To analyze and find out the overall paints product in Bangladesh. To identify the existing brands, different categories, sources and distribution networks. To identify the existing promotional strategies of the existing brands. To identify the substitution availability for customers product. To identify the consumers perception about the existing brand. To anticipate market development for the previous years. To find out the problems of the paints market. To identify the factors that influence paints market. To identify the quality of the all products. To identify the level of stocks of the products. To identify the production capacity of factory and delivery rate of the products. The nature of this research is exploratory and both quantitative and qualitative methods are used. After formulating the problem statement, a detailed background study has conducted. This back ground helped me to determine the necessary broad objectives. As the whole process id not structured enough, the background study is doe through exploratory research, using literature survey and experience survey. This report is descriptive in nature and developed mainly by survey research methods. Its tries to identify various scope and limitations of the system and then find out potential opportunity for the improvement of this system. The necessary of data for this study is collected from both primary and secondary sources. Primary sources include dealers of Berger paints and employees. Secondary sources include the internal documents like annual report, company bulletin, other research reports and proprietary data. The needed primary data is collected through questionnaire. Both the structured and nonstructural format of questionnaire developed to collect information. Besides, some data collected by conducting in depth interview with the proper authority. Every source of information of this research is given importance according to Sensitivity, Reliability, Validity, and Accessibility. Accessibility of any source is very important issue to be considered in research. If the source is not accessible no information will be collected and research will be undone. It defines the degree of relevancy of the information being sought regarding the nature of research .It signifies the essentially of any information in any research. It deals with the nature of the respondents of sources. It defines the stability the source of information. Reliability of a source is high when that particular source gives the same answers over and over when it has been asked the same question over and over. Reliability is low when a source responds in a different way to the same question over and over. The degree of precision of the information needed for the research is the basis to measure the sensitivity of information. Here, sensitivity mainly deals with the accuracy of the information drawn from the source. Berger Paints began its painting in Bangladesh since independence. And this has been a footstep to bring more than 230 years of global paint industry experience into Bangladesh. Over the decades, Berger has evolved to becoming the leading paint solution provider in this country and has diversified into every sphere of the industry – from Decorative Paints to Industrial Coatings, from Marine Coatings to Powder Coating and what not. Investment in technology and plant capacity is even more evident from the new factory of Berger Paints Bangladesh Limited at Savar. The state-of-the-art factory is an addition to Berger’s capacity to make it the paint-giant in Bangladesh. Not to forget about the first Double Tight Can manufacturing unit in its Chittagong factory. All, together with devotion into R & D to make it the reputed center of Basic & Applied Research in paint and Resin Technology, proof the commitment that Berger has for this industry. With its strong distribution network, Berger has reached almost every corner of Bangladesh. Nationwide Dealer Network, supported by 7 Sales Depots strategically located at Dhaka, Chittagong, Rajshahi, Khulna, Bogra, Sylhet and Comilla has an unmatched capability to answer to paint needs at almost anywhere in Bangladesh. Berger is one of the oldest names in paint industry tracing back to 1760. Lewis Berger, a German national, founded dye & pigment making business in England. Berger has been involved in paint business since 1950 in Bangladesh when paints were first imported from Berger UK and then from Berger Pakistan. Duncan Macneil subsequently sold their shares to majority shareholder J& N group. The Dada group’s share ultimately vested with the Government of Peoples’ Republic of Bangladesh after the independence. The name of the company was changed from J& N (Bangladesh) Limited to Berger Paints Bangladesh Limited on 1st January 1980. In August 2000, J& N investment (Asia) Ltd purchased Government shareholding. Now, Berger Paints Bangladesh Limited is 100% owned by J& N Investment (Asia) Limited, UK. With the passage of time Berger has unfolded its kaleidoscopic wings into all kinds of paint solution be it Architectural paints or Industrial coatings, Marine paints or Powder coatings. Sound profitable and growth with good internal capital generation. Dedicated effort of experienced and efficient management team. High quality environment pollution free products and huge range of product and color verities. Most updated techno based production system. Lack of adequate marketing and promotional efforts. Lack of full scale automation. Scope of market penetration through diversified products and increasing sales. Online selling and automation of transaction process. Government’s policy of encouraging infrastructure development and private sectors development. Adding more value in products and services than the competitors. High industry growth in the real estate sector accelerates the demanded for paints. The new arrival of multinational and local companies in the paint industry. Increasing prices of the raw material and global demand factors and devaluation of local currency. National and global political unrest. State of the art equipments at the factory can weave a variety of high-grade enamels.Leter on these enamels are converted into bars according to the formula. Modern high Technology machinery solvent and water base Machine are installed for continuous dying and finishing units. The color preparation units are sent to the laboratory for color justification. Latter on they are sent to the filling section. From the wrong unit are separate and the good one consider as finished goods are sent to the distribution networks. The minimum daily production capacity is five thousand litters, which is 280000 tk in monetary terms. The maximum capacity is 6000 liters, which is of the value of 375000 tk. The production capacity is best on three shifts a day of 8 hours each and 350 working days per year. Savar factory building which houses the weaving, dyeing and finishing other utilities machinery has a covered floor space of more than three acres. The Chittagong factory office has a covered space of 2.92 acres. The number of the employees at Dhaka factory is 100 of which 81 are regular. Incase of Chittagong factory the total number of employees is 60 of which 50 is regular. Ensure the smooth technological and ongoing process knows how. Provide technological evaluation of the machinery for the project. Provide basic and supervise construction of factory and ancilling buildings. Coordinate training for personal of Berger with machinery manufacture and others. Give production guarantees agreed set parameters. The machinery suppliers are also providing training on these equipments to Berger’s personal. The erections and installations are supervised by respective machine supplier’s experts. BPBL sources its raw materials from some of the best known names in the word: MITSUE, MOBIL, DUPONT, HOECHEST and BASF, to name a few. The basic raw materials that Berger uses for production of its products are pigment, extender, oil and resin. The other major raw materials for its production are dyes and chemicals required for the dyeing and finishing process respectively. Most of the raw materials are imported from outside the country. The external supplies come from countries like India, Pakistan, Thailand, Singapore, Malaysia, Germany, England, USA etc. The factory has total capacity power generation along with co-generation facilities. Water is available from the factory’s own tube-well facilities. In order to meet the steam requirements of the project three steam boilers with a total capacity of 30 tons/hour are running. All types of paints can be divided into three major groups. These are Decorative, Industrial, and Marine. Decorative paints are generally three types; Oil based, water based, and cements paint. What’s more, as you see the shades of your choice on the screen, it also suggests three other colors to match it. Today thousands of satisfied customers swear by Berger Color Bank. Resulting in the installation of numbers of tinting machines in Berger Color Bank stores across the country. Berger Color Bank uses superior imported colorants and the world renowned tinting technology of Italianate, Italy. All these assure you a paint quality which is world class. Berger Color Bank has an unique Tint vision software which allows you to see infinite color combinations on the screen of the computer. If you so desire you can mix and match and create your own shades as well. Berger paints Bangladesh Ltd maintains very short and effective channel length to distribute its products to the customers. It promotes direct selling approach and manages dealers and projects.Objectes of such approach ix to gain more control over its dealers and customers and brings close monitoring and evaluating to the top management of the organization. Over the years Berger strategically develop a mentionable numbers of dealers across the country. At present the company serves more than 2600 cash and credit dealers by maintaining profitable exchange relationship with them. The company provides significant financial facilities to its dealers like Discount ,Regular Payment Revenue Scheme (RPRS),Additional Target Achievement Bonus(ATAB)and Turn Over Commission(TOC).It also organizes some non financial benefits to entertain its dealers :foreign tour,lunch,art exhibition and concert to name a few. Berger directly sells its products to various projects of government and real state company through lucrative price discount. The company delivers the product to the projects sites at free of distribution cost. Besides Berger provides various gift items to its corporate customers like calendar, pen, diary etc. Berger always focuses on total customer satisfaction. Considering this it sometimes sells its products directly to the customers who want to purchase in a bulk amount. In this case the company allows substantial discount to build long term profitable relationship with the customers. Berger is one of the well structured multi-national organizations in Bangladesh which operates its business through extensive departmentalization as needed. The business activities of BPBL is directed, controlled, controlled and monitored from the head office ‘Berger house’. Being a market leader in the paint industry Berger employs good number of people in different departments to keeps its business thriving. All the responsibilities of the company are delegated to 11 different departments. The departments have a number of sections. The responsibilities of those departments have been summarized below. This department looks after total factory operations through a number of sections, namely, production planning, different sections for production process, Administration, Stores and ware house, Power and fuel, Maintenance, Delivery, etc Production planning section prepares the plan of production that includes the amounts and specification of the product. The have to maintain tight schedule in production and delivery. They are also responsible to prepare the list of required materials. The production of the company is under definite order. The company produces a wide range of products, So, before going to the production , even purchasing raw materials, to know the specification is essential. The planning section prepares to a schedules for production and delivery. The factory is running for 24 hours a day and 350 days a years. The administration maintains all the auxiliary tasks necessary to enhance the production. All sorts of control required n the factory site are done by administration section under production department. Dormitory for workers, engineers and other employees, resident for the to level employees, dining for workers, and executives, transportation for factory employees, vehicles for raw materials supply and product delivery etc. are maintained by the administration department. They also look after the securities of the factory premises. Having an it of materials in stock the administration department is responsible for receiving materials form the supplies, stock those properly, and passes those to the different sections of the production process for use. They also maintain the level of stock. They prepare a report of stock and send it to the planning section to inform them how many materials planning is to order. The maintains of continuous power and fuel supply in the factory without distribution the continuous production in the responsibility of the power and fuel section. They use the total captive power generation along with cogeneration facilities. Gas gerators are used for captive power generation. All sorts of mechanical and electrical maintenance and repairing are doing by maintenance section under production department. The responsibilities of delivery section are to store the finished goods and delivery those against orders and in accordance with time schedule. All the section in the production process has the responsibility to do their jobs within the limited time scale. They also responsible to recorded how much they have taken from previous section and how much they have sent to the next section. The principal function of the procurement department is to source the matrials, both local and foreign as required and requested by the user department. Normally the user department identifies and forwards to the procurement department the amount and specifications of the raw materials required by them. In the case of imported materials the responsibilities of the procurement department include the establishment of letter of credit in favor of foreign venders. The department maintains shipment status of all imported materials L/C wise. Berger is the largest company in the world. They announce discount, reduce price, free product monthly, yearly for sales promotion. When a company announce it customer are lot of product order the company to get benefit. Demand generation dealer development and arrangement of promotional activities are the main takes of the marketing department. A number of executive are involved in this connection. As the dealers are highly concerned in paints for their required goods, they visit the factory for satisfaction, whether the factory of the company is in that standard to procedure dealers satisfied paints. Dealers test the sample and the marketing department deals this sample testing. Price and time of delivery negotiation is another task for marketing department’s personal. An executive is responsible for the selling contract from negotiation to delivery of that lot or batch. Incase of bad production or if the color does not match with the buyer’s requirement, marketing department goes for negotiation with that particular buyer’s. Besides this department is responsible for perform various promotional activities like advertising, offering discount, scratch card and gift items. To follow the recent management of the business word, the sales department has been completely separates from marketing department. But still their are some correlations exist between these two departments. In Berger paint Bangladesh Ltd sales department sets the forecast in coordination with marketing department and upon fixation of the sales it id the responsibility of the sales department to realize the yearly sales volume of company products. Besides order collection, dealer management, new dealer development, customer credit analysis, target fulfillment, competitor’s information collection and other traditional sales activities are performed by the sales department. It acts as a basis for collection of information regarding dealer, project and customer in accordance with marketing department. With a view to bolstering consumer satisfaction, Berger Paints Bangladesh Limited has introduced “Berger Home Decor” on June 15, 2002 through which one can get an array of services pertaining to painting. Technical advice on surface preparation and application guideline. Painter/ Contractor selection and Color scheme. There is defined Telephone number, 02-9872428 for queries. By ringing simply in the number one can make query or seek available services from the company. According to the nature of query, the company provides solutions. The Sales achieved during the financial year ended 31st December 2008 was 3480.20 million as against Tk 3065.50 million in the previous year showing a growth of 23.05%. The profit after tax at Tk 227.12 million marked a growth of 4.93%. However, due to abnormal inflation of raw materials prices, progressive devaluation of the taka and intensive competition in the market, desired profit could not be achieved. The company improved its overall market share due to strong brand pull form consumers, continued support from the distribution network as well as projects. The growth in the building construction resulting in a growth in the use of Exterior Emulsion paint, as opposed to the conventional cement paint. Moreover the innovative marketing strategies during 2008 i.e., Berger Home Décor the one stop paint solution together with color consultancy, the launch of ‘Berger Illusions’ range of design coatings, as well as ‘ Robbialac Easy Clean’. Emulsion paint has provided the consumers with unique coatings resulting in improvement in life style. Market share studies determine the proportion of total sales received by a company and its competitors. A term used frequently in business as a performance measure, market share is the proportion of total sales of a product during a stated person in a specific market that is captured by a single firm. Market share can refer to entire industries, segment of industries or particular geographic areas and can also apply to past, present, or future periods. In 2008, Berger paints held 55.4% of market share in Dhaka city whereas the second largest market share was occupied by Asian paints with 17.20%.Elite paint possessed the third largest market share 7.90% where Roxy paint held the fourth position with 5.9% market share. Romana and Pailac possessed consecutively 3.94% and 3.40%of the market share. Other paints like as Polac, Dunkun, paramax, Bengal Agency, Nazrul Brothers paint, Imperial, Navana etc Held 4.53% of the paint market share. Berger paints possessed the leading position in paints market. Asian paints possessed the second position. Elite paints held third highest market share. Roxy paints acquired fourth position of the paints market. Almost every company has two category of enamel – premium and economy had already mentioned earlier. Berger paints premium enamel is Robbialac Superglues Synthetic Enamel and Economy Jhilik. Asian paints premium enamel is Apcolite Synthetic Enamel and Economy is Decora. Generally the sales of Enamel are comparatively high in comparison to the other category of product irrespective of areas. Plastic Emulsion is comparatively higher priced interior emulsion.Generally the areas where constructions are raising and, plastic Emulsion are highly demanded in these areas. It is also more demanded in higher class societies. Different companies try to different product by making it luxury, washable, and vast range of color. Distemper is lower price but higher volume sales product. Generally upper lower class and middle class societies highly require distemper. All most all companies have distemper. Distemper is highly demanded hole Dhaka city. Exterior liquid is higher quality exterior emulsion. Exterior liquid are introduced in the market in different brand names. Berger paints exterior liquid are Weather Coat Classic and weather Coat Long Life. It is highly demanded on VIP area in Dhaka city. Cement paint affords a hard, durable and waterproof surface. Cement paints are introduced in the market in different brand names. Berger’s paints Cement paint is Durocem, Asian paint cement os Decora, Elite paint’s Cement paint is Elitecem, Bengle agency’s cement paint is Snowcem etc. It almost all areas in Dhaka city, this product are highly required. As it is found that 45% dealers order for Robbialac Acrylic Plastic Emulsion and 55% Of the total sales the other products. Average monthly sales of the Dhaka sales office are 45 core liters. But monthly Production capacities of the Saver factory are 40 core liters. Besides majority portion Of the dealers claim that they receive about half of their total order. So it can be said that production capacity of the factory fails to meet the dealers demand. Most of the dealer agreed that customer usually switch to competitors products due to Supply shortage and lengthen delivery system. Customers mostly switch to Asian Paints, Elite paints and Roxy paints as these companies also offer almost similar shades. So to Some extent Berger paints faces sales loss for other product. Cent percent dealer’s claims that they are dissatisfy with the product only for shortage Of supply and lengthen delivery process. The main reason behind increase the market share of Berger Paints is its high quality Products, well established customer loyalty, comparative organized structure of Management, marketing, sales, distribution. In, 2007 Berger paints was the market leader with its 60% market share. 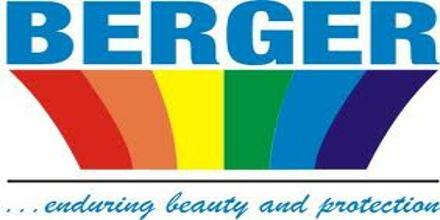 In, 2008 Berger paints also possesses it leading position and its market share increase to 62%. In, 2008 Asian paints possesses second largest market share and increase there position. Asian paints is very much promising because of its better quality, good competitive Strategies, well market analysis well established communication, frequent dealer visit Some time this is more than that of Berger paints. Berger paints can take the Asian paints as their largest competitor because Berger Paints Started its business in Bangladesh since Independence where as Asian paints started its Business just before four years. But with in a very short time Asian paints capture it’s Market place with competitive strategies. Berger Paints with in a very short time create more dealers of their own with liberal credit policies, providing more profit to dealers, providing more discounts facilities etc. In, 2008 Elite paint has possessed the third position in paints market. It may lose its current market share. In, 2008 Roxy paints held the fourth position in the paints market. Recently Roxy has taken aggressive to serve the market. It has totally redesigned its management, sales, distribution, and also human resource. Though in 2008, Romana paints possessed fifth position in the paint market. Romana paints created its more popularity through its vast credit policy with out Considering any security against credit. For some personal reason of the owners, its production is now stopped but it tries to carry on its operation to collect the credit from the market. It is very difficult for Romana paints to collect its credits back. Though it has great brand image, it will struggle in the paints market if started, because of its huge bad debts. Berger paints should always provide emphasis on customer demand. It should always Satisfy the dealers demand and arrange product availability. It should always pay heed to the dealers growth rate , take initiative to recover gap and Always monitor their activities. Berger paint should restructure its sales system. Its can restructured through employing More sales day by day and delivery system, enrich end-user activities, frequent market Visit, better communication with distribution. Its general sales procedures like taking order, preparing invoice, categorization of invoice, preparing rout plan, lining products for loading of vehicles should be automated. Safety stocks should be maintained in the product to ensure the instant delivery against Customers demand regarding the products. It should also organize distribution system through increase space for store systematic Way, frequently update its database systems which shows products, pack size and color availability and increase the number of delivery van. This report is an attempt to make a clear picture of paints industries of Bangladesh. The paints market is very much competitive although Berger paints holds the major market share. But the growth rate of the competitors is great challenges for Berger. Its true that Berger paints is very prominent in the market because of its high quality products, competitive price rate etc. The first choice of consumers is Berger because they can relay on it and its long lasting capabilities .Its also able to provide the consumers option of choosing variety of colors; 5000 shades with in 5 minutes through its color bank. Berger paints is very much restricts in credit policy. It provides credit only some selected dealers where as other competitors are very much liberal in credit. Paints traders, wholesalers or retailers, are naturally very much found of huge credit. Thus they key competitors gradually grow up in the market through their vast credit policy.With world class range and durability, Berger is always ready to answer to all weather condition and try to satisfy every corner of the country.